For their own good, Irish politicians need to get serious about voter education. “Whenever the people are well informed, they can be trusted with their own government.” Thomas Jefferson. The recent poll in the Irish Times (here) provides an interesting link into what has gone wrong in Ireland in recent years. The facts revealed are one thing, in that may Irish voters are just plain wrong about many of the assumptions they make about their own country. But what’s even more revealing about this is the fact that the political establishment, from Fianna Fail to Fine Gael to Labour, seem incapable of grasping the significance of this. The reality is that there are Fine Gael and Labour backbench TDs who are going to lose their seats in 2016 because voters are actually wrong about the fundamentals of how our country is run. There are voters who think that those same TDs are basically helping themselves personally to funds equal to billions! Yet those same TDs are seemingly unwilling to confront that reality. And not just backbench TDs: just look at the government’s lacklustre response to Eoghan Murphy TD’s Tax Transparency bill, which would have addressed some of the issues. Why is this? Why are Irish ministers of FF/FG/Lab so unwilling to deal with these issues? Some allege the usual conspiracy theories, but it’s actually worse. The reason Irish governments don’t deal with these issues is because of inertia, conservatism, fear of change (“We’ve never done THAT before, minister”) and a general lack of imagination. The truth is that the defining ideology of most of FF, FG and Labour is that This Is The Way It Has Always Been Done. One feature of the poll, for example, is the fact that most people don’t know or believe that most politicians have taken pay cuts. Some quite substantial. Yet the government has proven almost incapable of making a big song and dance about this because ministers are still quite well paid, and so don’t want to make a big noise and draw attention. Instead they let their achievements go unnoticed and let moronic myths take root in the Irish psyche. In my time in politics I met people who were convinced that TDs paid no tax, that every TD got a chauffeur driven Merc, that 50% of the population is Muslim, that political parties get millions to pay for election campaigns, that refugees get free cars because “Dublin Bus are racist”, and that (I’m not joking) 50% of the national budget goes on TD salaries. As a political activist, I challenged all this nonsense, and got the “Yeah, but you would say that” response. So here’s my question: whose job is it, on behalf of the state, to wake up every morning and communicate true facts to the Irish electorate? Not spin, but actual fact about how scrapping the government jet will not allow us to create millions of public sector jobs. In the run up to every referendum, we have a Referendum Commission whose loyalty is not to parties but the voter. 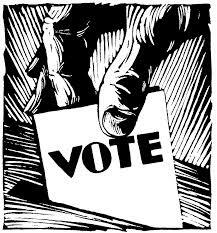 Why can’t we have a permanent Voter Commission whose job is to tell the truth every day, and get those facts out? 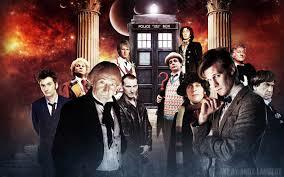 Dr. Who: Modern British Icon? Spoiler alert: I’m assuming you’ve seen the Dr Who anniversary episode. If not, why not?? The French National Front has, in the past, been very big on hijacking Joan of Arc as an icon of their values. The Brits, on the other hand, have never been big on that. Winston Churchill sort of fills that particular void, but even then only from a distance. Despite being right on the single most important decision of his life, opposing Hitler, Churchill held opinions that would alienate many on both the modern right and left. Eurosceptics shift uncomfortably at his support for a United States of Europe, and in government after the war he was economically left wing and a union appeaser. The left remember his opposition to Indian independence. Still, one can’t be too picky. JFK was elected in a rigged election. FDR imprisoned Japanese Americans. An icon is supposed to be soothing from a distance but not looked at too closely. Having said that, watching the 50th anniversary of Dr Who, I couldn’t help thinking that if there is anything that sums up modern Britain, it’s The Doctor. It’s hard to imagine any country where the identity of the actor playing a fictional character on a children’s (yes, that is who it is aimed it, even if it has made efforts to include the whole family) TV show is a source of enormous national debate and media coverage. The Americans don’t do the same about Superman. Even James Bond doesn’t demand the same loyalty. But Dr Who is different. Possibly because TV is a more intimate form of culture than film, and by the sheer nature of TV producing much greater episodic quantity than film, and the fact that it is family friendly, and the fact that nearly three generations of TV viewers have now grown up with him, The Doctor has managed to find a particular niche. But there’s more to it than that. Unlike James Bond, Dr Who has modernised to reflect modern Britain, and more to the point, is at ease with it (Prediction: we’ll see a female Dr by 2017). He’s cheeky, informal, comfortable with different cultures and even sexual orientations, and suspicious of big power in whatever form. He’s also from a former superpower long neutered, yet still with cultural impact throughout the galaxy. To Eurosceptics, he could be an icon for an independent Britain not afraid to face down Brussels. To pro-Europeans he’s someone who recognises the need to work with allies, often by convincing them of his leadership ability in pursuit of a common goal. But you know why he’s a national hero? I’m not a Brit, but even I felt the hairs rise on the back of my neck when Tom Baker’s voice is heard in the final scene, because it means something. There’s a line in the episode when Rose his companion points out to The War Doctor that the wheezing sound the TARDIS makes is now synonymous with hope, and it’s the truest line in the whole episode, because for every fan from 1963 that’s exactly what the sound meant. That in the middle of an episode, when people were in what seemed like desperate hopeless danger, the sound of the TARDIS materializing always meant one thing: Here Comes Help. Is there a Brit over six years old who doesn’t know that sound, or not know that a blue police box has absolutely nothing to do with either the police or telephones? Isn’t that the very definition of iconic? 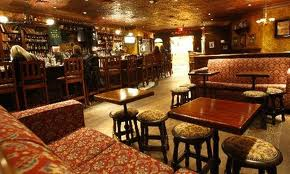 The Man In The Pub Talks About A New Party. Posted by Jason O on Nov 17, 2013 in Irish Politics, Not quite serious. TMITP: Yes, we should have a new party! ME: What should it stand for? TMITP: Well, it should be for the ordinary people, for a start. You know, the Guards, farmers, young people, old people, unemployed, businesspeople, doctors, nurses, people with disabilities. That sort of thing? ME: So, everybody except property developers and people associated with banks? TMITP: Absolutely. Except for Sean Quinn, of course. Or my brother in law, obviously. And yer man who built the clubhouse for the hurlin’ in the parish, he’s a lovely fella. NAMA are giving him a shockin’ hard time, I hear. ME: And what should the new party stand for? 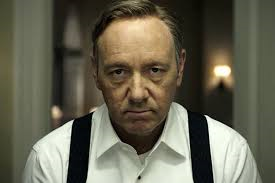 ME: Sorry to cut across you, but you want a new party that supports cutting taxes and increasing public spending? ME: Wasn’t that basically the policy of Fianna Fail, Fine Gael, Labour and the PDs that got us into this mess? TMITP: Eh…yeah…but they forgot about the ordinary people. A new crowd could, like, do it better. TMITP: By listening to the ordinary people. ME: Like say the bus drivers, maybe? TMITP: That crowd! They should be put up against the wall! And don’t get me started on the teachers! ME: So, teachers aren’t ordinary people, in your opinion? TMITP: They’re like royalty. Ah, here’s Tom! ME: Hello Tom. Yer man here was saying teachers are like royalty! TOM: Are you joking! My youngest is a teacher! The teachers are carryin’ the country! Carryin’ it! If there’s anyone on the pig’s back, it’s the nurses! ME: Sorry to interrupt Tom, a quick question: do you think we need a new party? ME: And who would it be for? TOM: The ordinary people, of course! ME: Grand. What are you drinkin’, Tom? 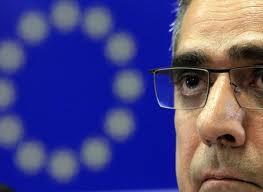 Farewell, then, to The Man from The Troika. Posted by Jason O on Nov 14, 2013 in European Union, Irish Politics, Not quite serious. IN IRELAND, AS IN EVERYWHERE ELSE, 1+1 MUST EQUAL 2. Every political culture has its own lexicon. In Chile under Pinochet, people feared the DINA, a secret police so lacking in subtlety that its official symbol actually was an iron fist. In Ireland, when one wants to speak of an all powerful entity, we speak of The Troika. Curiously, opinion is divided on the fiscally fastidious, neatly attired men and women from the wonderfully acronymned EUIMFECB. The usual suspects, that section of Irish people forever bent on one knee in permanent victim status, equate them with the Gestapo or some form of evil occupying force, which would be accurate if the Gestapo had been invited into a country with vast amounts of money to spend on maintaining public services. Then there are some who say they are vampires, which is half right if someone takes into account that in ancient legend a vampire could only enter a homestead if he was invited. There’s the problem right there, the awkward fact that grates with their opponents and negates a thousand exclamation marked People’s Front of Judea posters. The Troika didn’t arrive following massive air strikes on Merrion Square or via Tom Hanks style landings on Dollymount Strand. The Imperial March is not played when they step off their plane. They came because we couldn’t solve our own problems. We asked them to come because the people we elect were afraid to tell us the truth about what we would have to do. We needed someone else to say what we were afraid to say to ourselves. In short, we needed grown-ups. That’s what really troubles us when he sits down with his laptop and opens his spreadsheet. He asks us questions that we don’t like asking ourselves. You want to fund that item of social spending? Sure. Just tell him who specifically is going to pay the extra tax to pay for it? It’s not an unreasonable question, but in Irish politics, where cramming the words “social justice” onto a spreadsheet is actually regarded as a mathematical answer, that is just bad manners. Hasn’t sone one told him that Irish maths is different from that maths they use in other countries? Oh sure, there are some reading this who will be livid, but it is all faux anger. In Greece the arrival of the Troika nearly elected a communist government. In Ireland who is the most popular opposition party? The people who invited the Troika in the first place. But what of the ugliest truth? That when we eventually exit the bailout and the Troika bid farewell, it will be their greatest opponents who will silently mourn their exit? Why? Because when Ajai & Co. have gone, we’ll be faced with an even more powerful entity that sends gut wrenching fear up and down the spine of every elected Irish leader: a body far more terrifying that the Troika because unlike them we can’t tell it to leave. It is, in short, responsibility for our actions, and since independence, through corruption scandals and church child molestation, it has been the creature that hid in the shadows and frightened us the most. And now, when the Troika leave, and we have to survive by our own effort, it will lunge from the shadows at us, because we will be The Man from The Troika then. Back by popular demand, and a must see! Fishambles’ “Guaranteed!”. 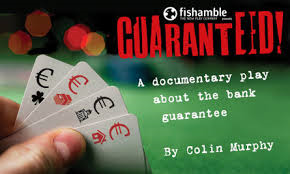 Fishambles’ “Guaranteed!”, written by Colin Murphy, telling the partly-fictionalised (although ringing true) story of the run up and night of the 2008 bank guarantee, is both informative and entertaining. Watching it, I was struck by the atmosphere of the audience, who reacted to certain events and statements within the play in a way that a non-Irish audience would, I suspect, never grasp. For example, during the run up to the night, Murphy has his cast, in a wide range of real and imagined roles, read out actual public statements on events (such as “the fundamentals of the economy remain sound”), which on paper sound perfectly reasonable, but in an Irish context cause the audience almost to sneer. The 2007 election, where the parties compete in an ever spiralling race to promise greater spending increases and bigger tax cuts, when looked at in this context and within the play, comes across as surreal, yet during the election itself was regarded by most people as perfectly reasonable. During the build up to the crisis, Murphy injects Brian Cowen in a series of comical scenes either singing in public or opening things in his constituency. There is a Nero fiddling air to it, yet one can’t help remembering that certainly the people voting for him (and most Irish TDs) were far more motivated by that sort of activity than the careful surveillance of our financial system. As it happens, I personally felt that Cowen and Lenihan, and indeed even the Central Bank and the Regulator, come out of the story far better than you’d expect. As the options are laid out to the two politicians, every one of them comes with almost horrific side-effects. Faced with time running out, a serious chance of ATMs actually running out of money, both men come to the dawning. realisation that we are in fact a tiny insignificant nation afloat in a vast global financial system. For all the talk of the EU having too much power, the problem on the night is that Europe is (deliberately) just not integrated enough to deal collectively with the crisis, leaving pretty much every man for himself. The other eye-catching nugget is how irrelevant our political system is, with the rest of the cabinet reduced to being rung by a civil servant and asked how they vote on a plan that could potentially burden the Irish people with a half-a-trillion euro liability. Sadly, watching the scene, you can’t help thinking it would not have made any difference if any more of the sort of people who make up the Irish political system were in the room or not. Christine Lagarde they weren’t. Where Murphy really succeeds is in that difficult Sorkinesque task of taking a mass of very complex material and turning it into an engaging narrative. Banking Inquiry? I’d give Colin Murphy an Arts Council grant and access to the DPP’s files. We’d get a much better return for our money. You can check it out here. Irish politicians unveil new plan to wreck economy by 2021. Posted by Jason O on Nov 7, 2013 in Irish Politics, Not quite serious. Sources in both the government and opposition are agreed that the following measures should be pursued by the political parties. 1. Political reform. The government is particularly proud of the fact that after nearly three years in office, and plenty of shape throwing about “the New Politics” and that, not only has the government blocked almost all devolution of power, it has actually managed to centralise power even more, to such a degree that now even most of the cabinet are just as uninvolved in decision making as say, your average voter on the 46A, or an Irish bank regulator. 2. Economic Planning. The opposition has contributed towards the plan by telling voters that whilst property taxes are in principle a good idea, it is never a good time to introduce them. The opposition parties have also done their bit to keep alive the “Yes, you can keep your low tax cake and eat a high public spending cake at the same time” ethos of the Ahern years alive. A particular nod at opposition politicians who say that government should not be focussing on water charges but making our water system work, deliberately ignoring the fact that we don’t charge for water being the key reason our water system is malfunctioning. An Electoral Commission? How about a Voter Protection Agency? I recently attended a seminar hosted by Dr Teresa Reidy, Jane Suiter, Prof David Farrell and others on the outcome of the Seanad referendum. One point, made by Prof Michael Marsh, which made a lot of sense, was the fact that because we didn’t carry out extensive exit polling after the vote, we have no idea what voters were thinking. It’s a very valid point. We go to all this trouble to have a referendum, and then have no scientific way of measuring the outcome. Dr Reidy and Prof Farrell also made very solid points about the need for a proper Electoral Commission to manage elections, registration of voters, etc, and it got me thinking.